THE SECRETS TO DRIVING TRAFFIC TO YOUR SALE & PUT THEM INTO A BUYING FRENZY ON THE WAY TO YOU!!! On our search to be self supporting & self reliant after my recent layoff from my job of many years, we have honed and developed many strategies to set up, organize and advertise a successful garage sale / stockpile sale that allows you to shovel in over $800 a sale day! The tips in this article are simple, easy and quick to implement that will continue to pay dividends sale after sale. Traffic is the # 1 most important factor to success or failure in any garage sale / stockpile sale. If you use just 3 teqniques that we will describe, you will have more customers than you know what to do with. EFFECTIVE SIGSN & SIGN PLACEMENT As shown in the video below signs come in all shapes & sizes. If you do them right customers will know what you have & will be ready to buy once they hit your driveway. Lead people to your sale with multiple signs along the way describing what you have for sale & how to get to your house simply & quickly. UNIFORMITY IN SIGNS. Make sure all of your signs are similar or alike so that you can stand out in the crowd when everyone is doing a sale on the same, day. Competition is fierce and you dont want your cash bearing customers to get lost or spent out at another local sale. Make sure to include a basic price list with basic products that you carry to limit text messages & emails. Time is money & free time is golden! List the hours you will be open or by appointment opportunities. List if you will accept paypal, credit cards or cash only 7 let people know if you will provide bags or if they need to bring their own. Craigslist allows you to post up to 12 pictures, use them up this is a way to sell your products before the customers arrive. If you have good pictures you will drive people to your sale faster. This will also limit the questions once again saving you more time to prepare or enjoy the rest of your life. There is a whole new world of free advertising available to anyone trying to make money from home. There are a few tips & tricks to letting facebook make you some money. 1) join all of your local garage sale or stockpile sale public & closed groups 2) Read all the rules & stipulations of your groups so you dont get booted out of the group or get your post deleted. 3)Post a link to your craiglsit ad & give some descritive words of what you are selling. 4) start your own group for either stockpile sales or garage sales so you are the moderator & control the content. Grow this page & your cash. 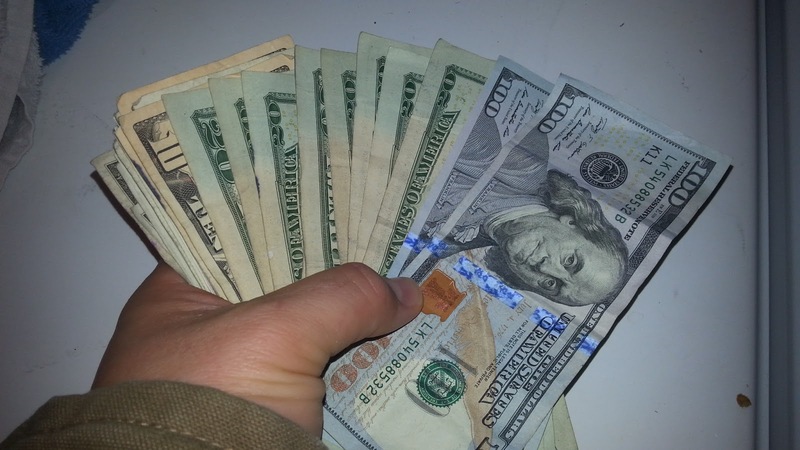 NOW THAT YOU HAVE THE 3 TOP WAYS TO MAKE $800 A DAY IN GARAGE SALES & STOCKPILE SALES check out the original tips & tricks to setting up your sale & aquiring your stockpile products for pennies on the dollar to MAKE $800 a day.